We are always looking for people who want to challenge themselves, work with others, and give back to their community. We meet every Tuesday night from 19:00 to 21:00. (24-hr time—get used to it.) On the first Tuesday of each month we hold a regular business meeting. All other Tuesdays are reserved for training towards your Ground Search and Rescue (GSAR) certification and operational activities. We have specialty teams that practice in addition to our Tuesday nights. Our high-angle rope rescue team practices at least one Wednesday evening every month. We also reserve one Saturday per month (typically from 09:00 to 14:00) for a group training activity, or larger scale exercise (SAREX). Depending on your areas of interest, you could be training 8 to 16 hours per month. New members will also need to allocate time for studying their GSAR manuals, in preparation for class and exams. We also need members to volunteer their time to keep the Society running and SAR operational. These activities could involve fundraising and maintaining the hall and equipment. With studying, training, and operations, a member could volunteer in excess of 200 hours per year. Currently, SAR members are eligible for a Canada Revenue Agency tax credit, if they contribute over 200 hours in one fiscal year. 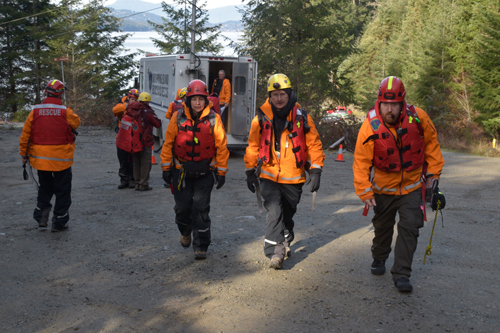 SAR members are constantly refining their certified skills and learning new skills to maintain a high level of proficiency for a variety of circumstances. There is a one-time, non-refundable membership fee of $5 to join the Salt Spring Search and Rescue Society. New members-in-training are also responsible to pay for their initial first aid certificate (approx. $150 for OFA 1 or equivalent) and SAR members-in-training are also responsible for supplying their own: outdoor gear, including rain gear; quality hiking boots; pack; and other items. A detailed equipment list is provided to all those interested in joining. 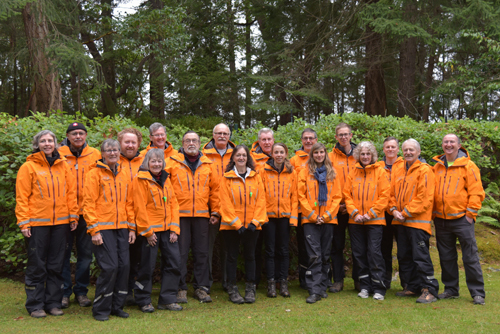 Once they become GSAR-certified, new members will be provided with outerwear with our insignia, and their continued training will be paid for by the Society. 2019 Ground SAR Recruitment now closed! Autumn Trail Safety, Be AdventureSmart!